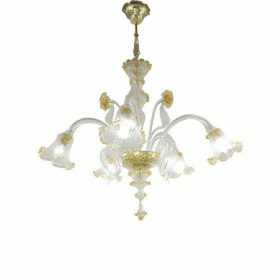 Chandelier in transparent and gold Murano glass with floral details, perfect for decorating your home in retro style. 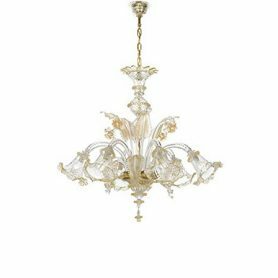 Elegant and refined design, this lamp harmoniously illuminates any room. 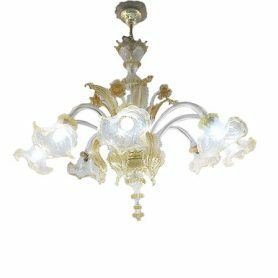 Masi is an Italian glassworks that produces handcrafted Murano glass chandeliers in classic and modern style.